The 2011 Brunellos have a hard task, as they are nestled between the superb 2010s and the highly promising 2012s. Readers need to be selective, as 2011 is a vintage with a great deal of variability and widely diverging highs and lows. The best 2011 Brunellos are racy, open-knit and seductive, all qualities that make them well-suited for near to medium-term drinking. An unusually warm, dry winter led to budbreak that was several weeks ahead of schedule and set the stage for a year where the calendar of the vine was moved up dramatically. Flowering was also ahead of schedule. The inversion of seasons continued during the early part of summer, which was unseasonably cool and overcast. Some producers opened up canopies in order to promote better air circulation and stave off disease pressure. Other growers, worried about the ability of vines to ripen a full crop, started deleafing and dropping fruit. Those decisions would turn out to have major ramifications when a blast of dry heat arrived from Africa in mid-August. The blistering heat cooked exposed fruit and caused considerable dehydration on the vine. According to most growers, the heat spike only lasted a few days, but temperatures remained high during that period, even at night, giving the plants no respite. Vines, like people, don’t like shocks. The August heat spike would turn out to leave a distinctive signature of ripe, roasted fruit in many wines. Sugars continued to rise, but physiological ripeness, stunted by the heat, lagged behind. Growers had to choose between picking early to preserve whatever freshness could still be had, but risk hard, unripe tannins, or wait until physiological ripeness had been achieved, but take their chances with elevated sugars and alcohols. These are never easy choices to make. Canalicchi, Montosoli and Pelagrilli…Where Are You? Because of the stressed conditions of the year, the 2011 Brunellos are highly uneven across the board. I place 2011 behind 2010, but ahead of 2009, a year with which 2011 shares some similarities, the biggest being the generally forward, advanced qualities that are found in many wines. With a few exceptions, the 2011s are wines that will drink well with minimal cellaring and that are likely to age at a faster pace than normal. I tasted more than a few 2011 Brunellos with advanced, bricked/orangeish tonalities of color and the accompanying developed flavors that are much more typical of older wines. 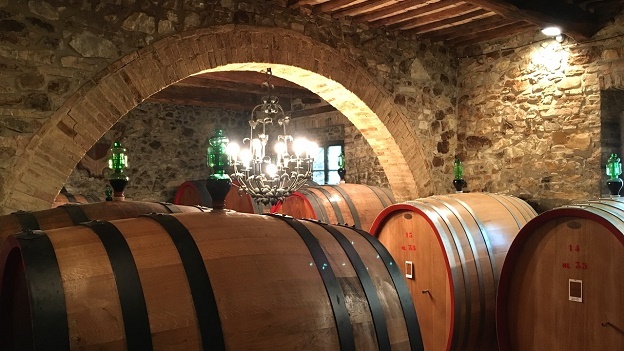 The vintage is much stronger on the northern side of Montalcino, where temperatures are generally cooler than in the south, and where a number of key vineyards sit at higher altitudes. In particular, I tasted a number of gorgeous 2011s from the three key macro-zones of the north; the Canalicchi di Sopra and di Sotto (upper and lower respectively), Montosoli and Pelagrilli. Sadly, the producers’ Consorzio has resisted every attempt to map these zones so that consumers might actually better understand the diversity of Montalcino’s myriad microclimates and terroirs, but someone will come along and do it anyway, hopefully soon. So, the long and short of it is that the wines from the north are, on average, more successful than the wines of the south, where the normally dry, arid conditions influenced by nearby Maremma were taken to nearly unbearable levels by the August heat spike. The other, and equally important, issue with the 2011s is time in barrel. Producers continue to show an almost obstinately inflexible approach to aging their wines. In most other regions in the world, forward, precocious vintages are bottled earlier than normal. But not in Montalcino. Although Brunello must spend at least two years in oak, quite a few producers add another year to that. With a few exceptions that prove the rule, extended time in barrel was the kiss of death in 2011. To be fair, some of that has to do with space limitations and other practical considerations. Ten thousand bottles of wine in barrel takes up a lot less space than it does once it has been bottled. 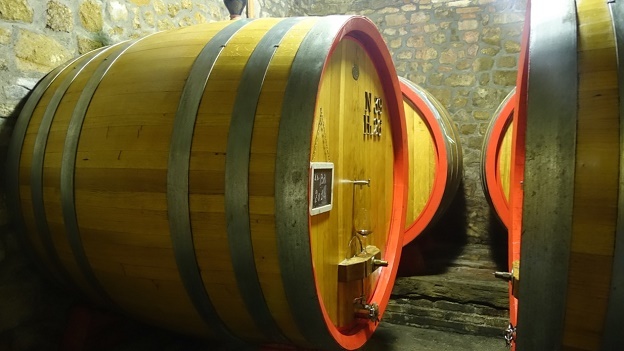 To compound matters, even if producers chose to bottle their Brunellos as soon as possible, they are prohibited from selling those wines until the fifth year after the vintage, which means they have to store all of that bottled wine for a considerable amount of time. 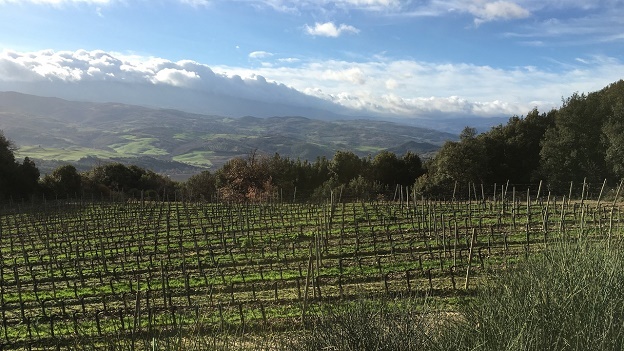 On the other hand, at the prices top Brunello now routinely fetches, producers simply must have to have the right tools, including space, if their aspiration is to make high-quality, world-class wines. Lastly, although the trend towards making single-parcel other special selection Brunellos continues to grow, 2011 was without question a vintage to bottle a single Brunello. There are exceptions, but they are few and far between. There are only a few estates that plan on bottling a 2011 Riserva, including Salicutti, Poggio di Sotto and Le Potazzine. This year also marks the release of the long-awaited 2010 Riservas. With a few exceptions, I am not a fan of Brunello Riservas. The current crop of new releases has done nothing to change that view. As it turns out, during my most recent trip to Montalcino I tasted a number of 2006 Brunello straight bottlings (known as Annata) and Brunello Riservas for a forthcoming retrospective. Those wines only reinforced my long held views about Riservas. Specifically; the trend to give what winemakers consider their ‘best’ fruit more time in barrel or more new/smaller oak often leads to Riservas aging faster than Annata wines of the same vintage. Furthermore, Riservas are rarely worth the price premium producers ask for. The vast majority of estates would be far better off making a single Brunello in each vintage. Vintage 2012 remains one of the most promising young Brunello vintages I have tasted in the last few years. Unusually hot, dry conditions persisted all year, but the vines adapted and self-regulated because temperatures remained consistently high, with none of the shocks of 2011. The grapes were small, with little juice, which resulted in rich, concentrated wines. Yet the 2012s don’t have the textural opulence of ripe vintages such as 1997 or 2007, rather they tend to show more mid-weight structures. I remember tasting the 2012s for the first time in February 2013 and being quite impressed. I feel the same way today. Two thousand thirteen was a much cooler, later-ripening vintage than 2012. The 2013s are fresh, vibrant and beautifully perfumed wines. Two thousand fourteen was one of the most difficult vintages on record. Growers describe the year as having had no summer. Cold, damp conditions resulted in elevated disease pressure and rot, while the Suzukii fruit fly punctured berries right around harvest. Crop losses are in the 30-50% range for most estates. 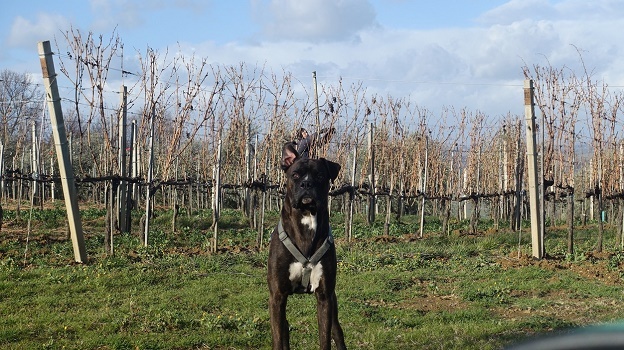 A number of wineries will make no Brunello at all, preferring to make a good Rosso instead. On that subject, readers will begin to see hype about the 2014 Rossos that are made from declassified Brunello juice. With one or two exceptions, these wines don’t live up the marketing. If producers could have bottled Brunello, they would have done so. If, on the other hand, producers bottled Brunello juice as Rosso, it is not because they wanted to do consumers a favor, but rather because the wines were weak and they had no choice. With one or two exceptions, readers are better off with Rossos from top vintages, not poor years. 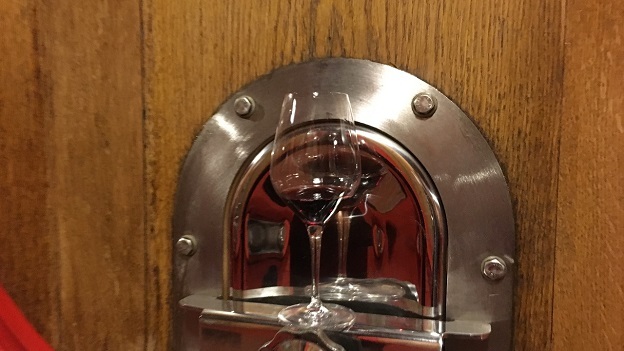 From what I have tasted so far, 2015 has the potential to be a very strong vintage for Montalcino, perhaps more. The 2015s are rich, powerful and intense, a sort of 2012 with a little more of everything. Lastly, I have to say I was quite encouraged this year by what appears to be a meaningful shift in Montalcino. For years, Montalcino has suffered from a lack of high quality accommodations and restaurants. That is slowly beginning to change. At least three estates will soon open their own small hotels. Some of these projects are more ambitious than others, but it is always great to see producers investing in their own region.